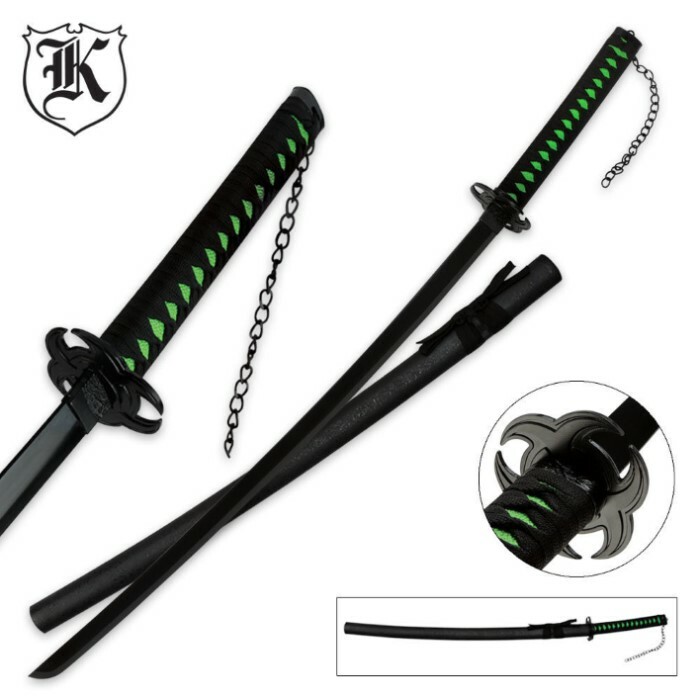 With this mighty Black & Green Biohazard Apocalypse Katana sword, you will be prepared to slash your way right through the apocalypse whatever comes your way. 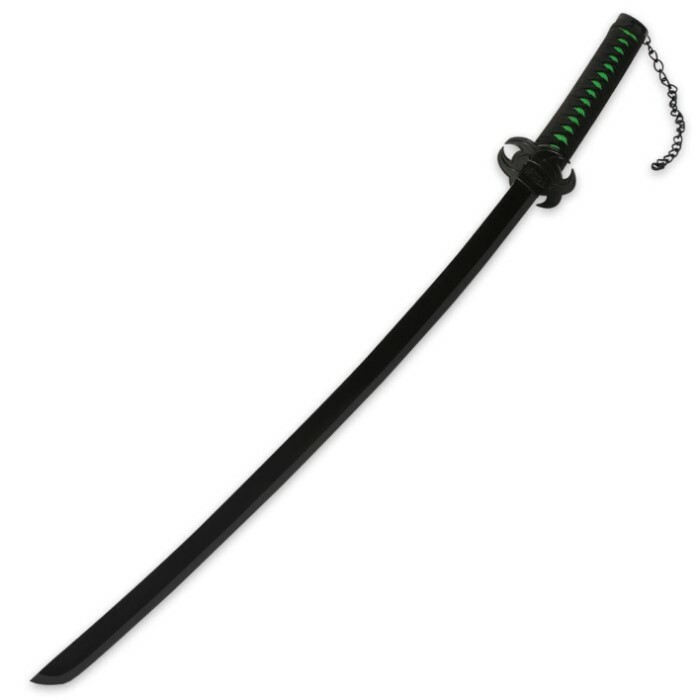 The 26" carbon steel blade is done in the traditional katana design, delivering power and performance. 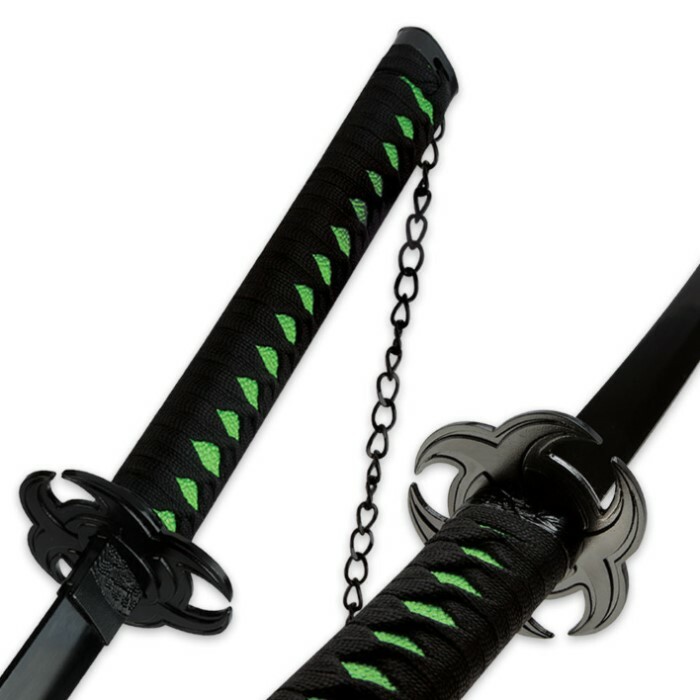 The handle is accented with a custom biohazard guard and pommel with a chain, completed with green ray skin and heavy black cord wrappings. It also includes a custom coordinating scabbard. 38" overall length.